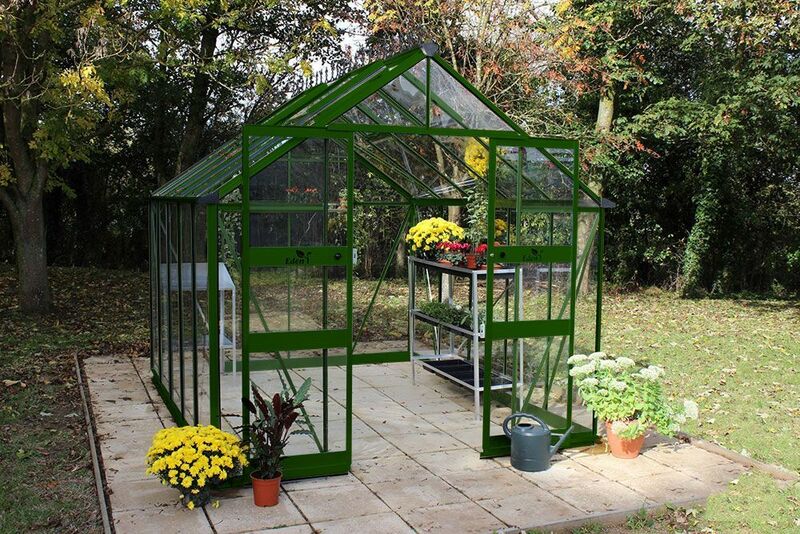 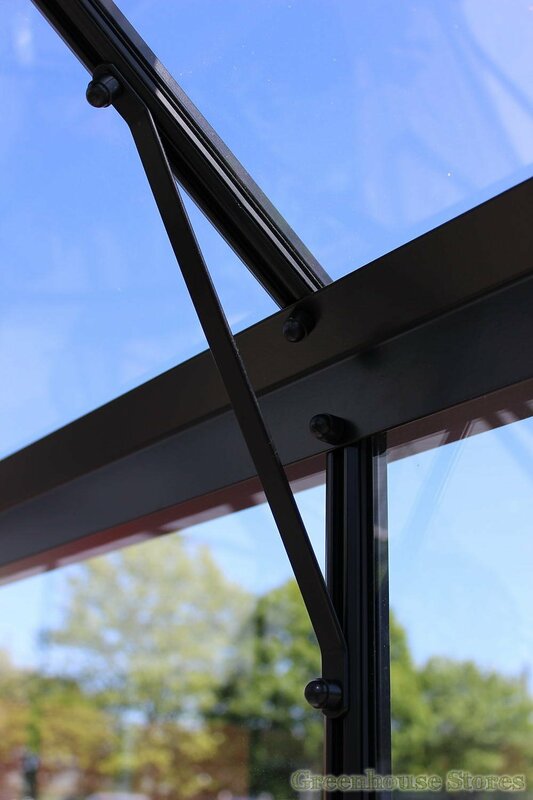 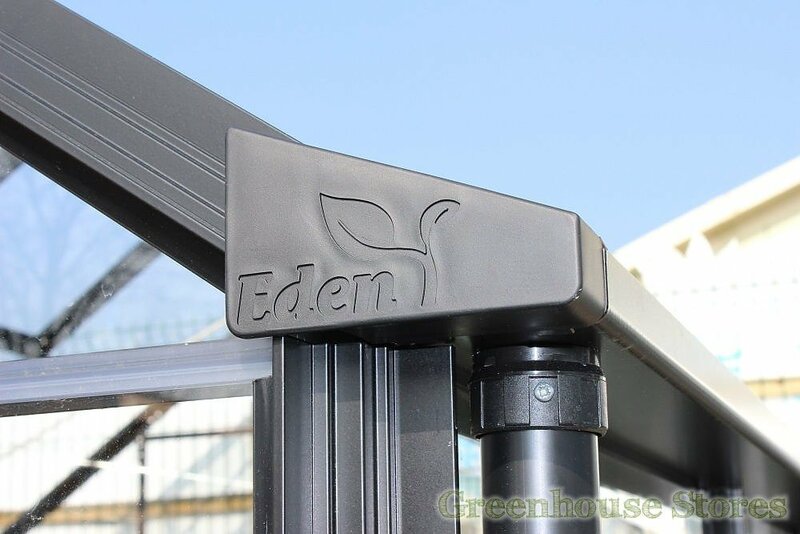 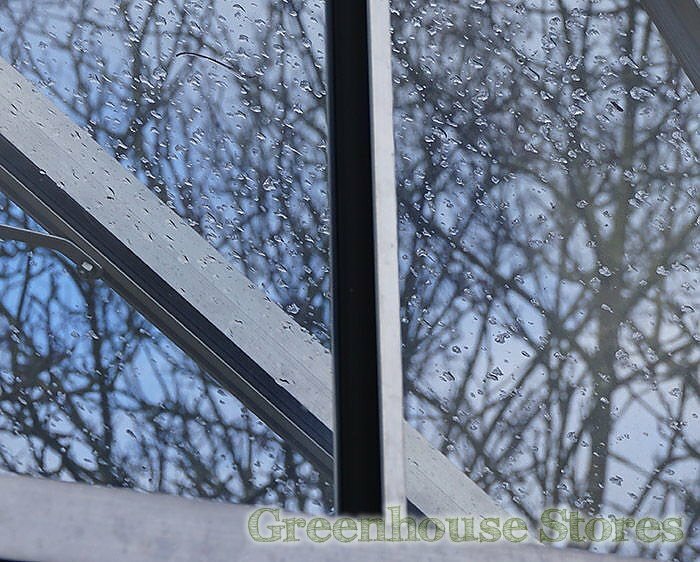 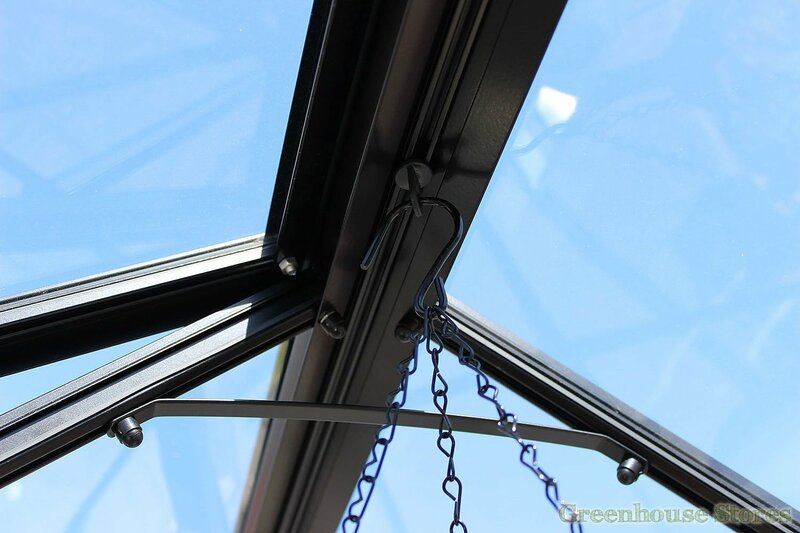 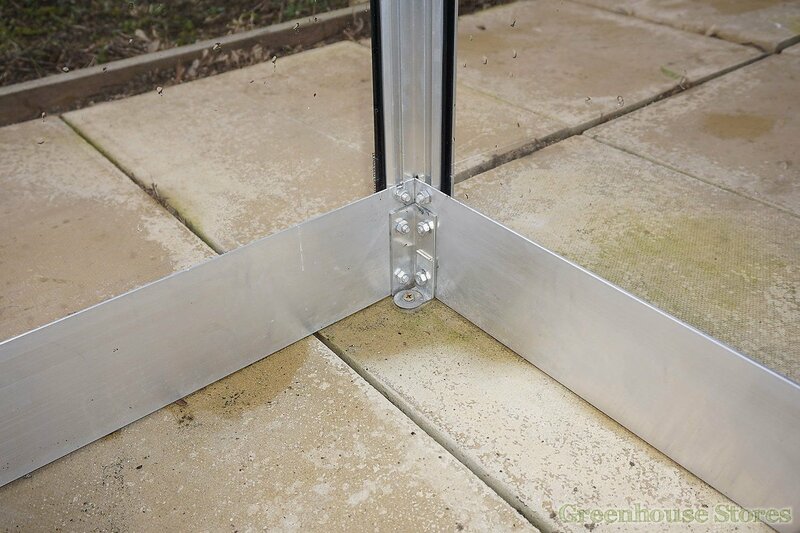 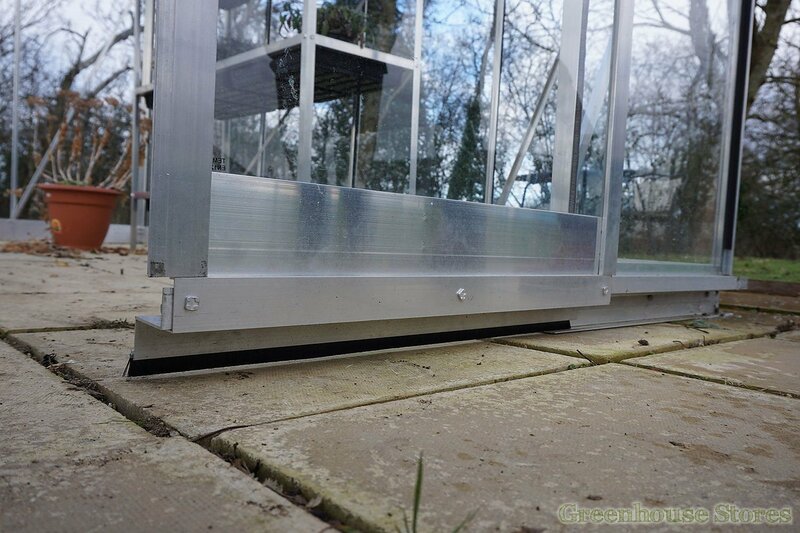 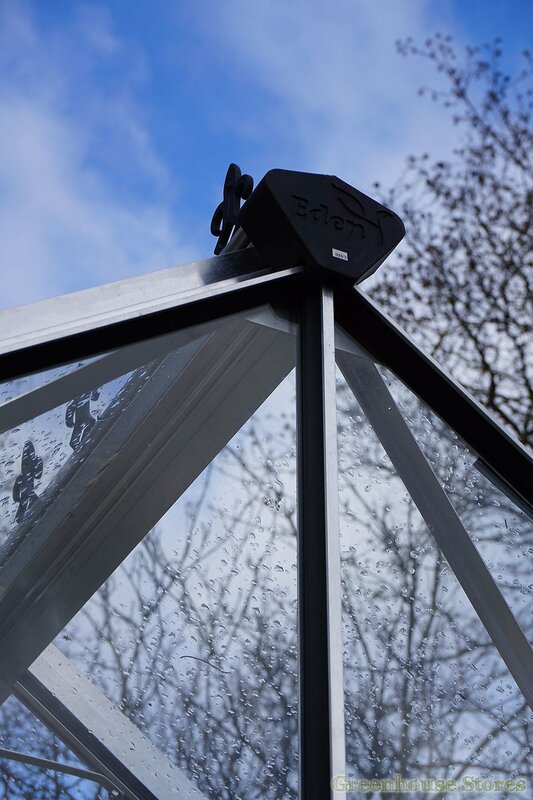 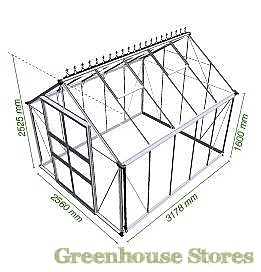 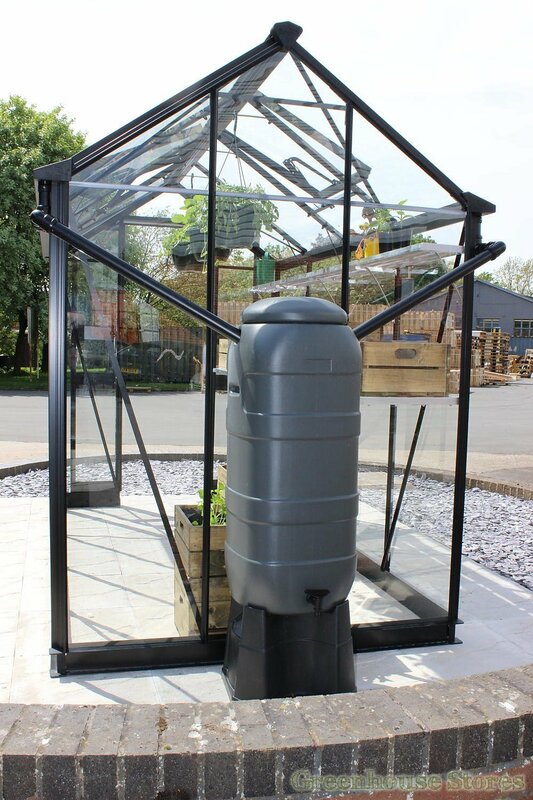 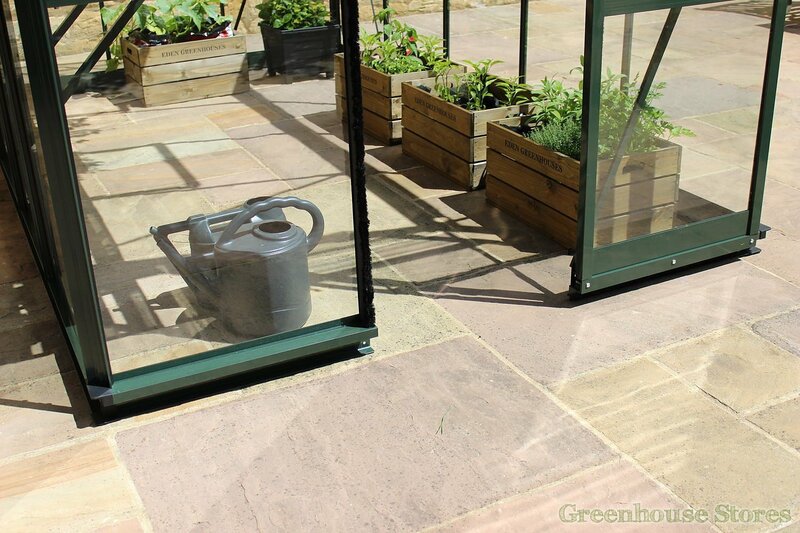 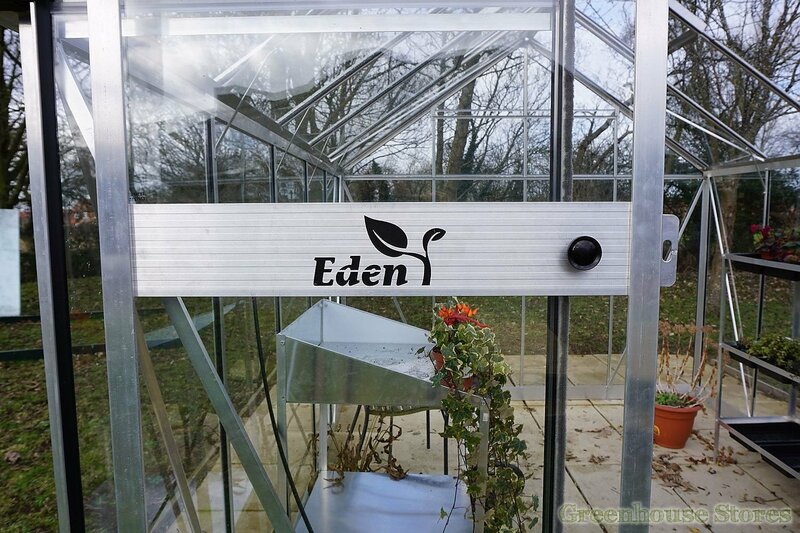 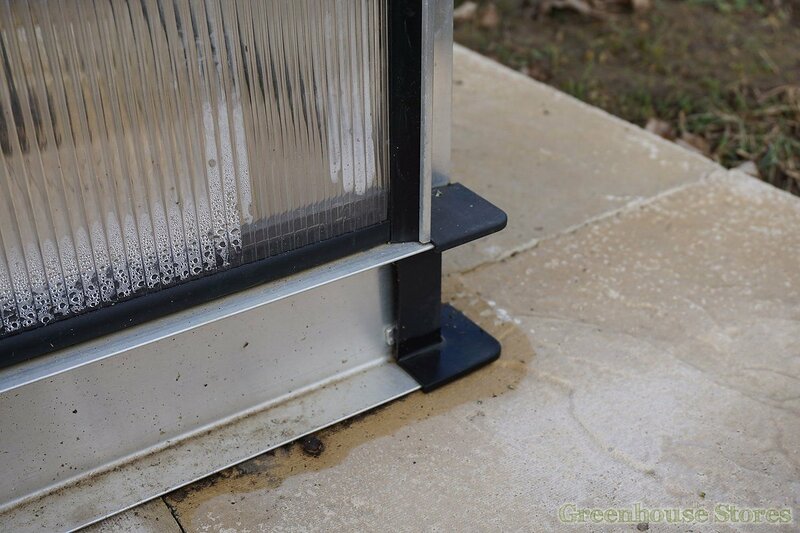 The new green powder coated Eden Blockley 8x10 Greenhouse with 3mm toughened safety glass and the new “no threshold" entrance is ideal for gardens and allotments. 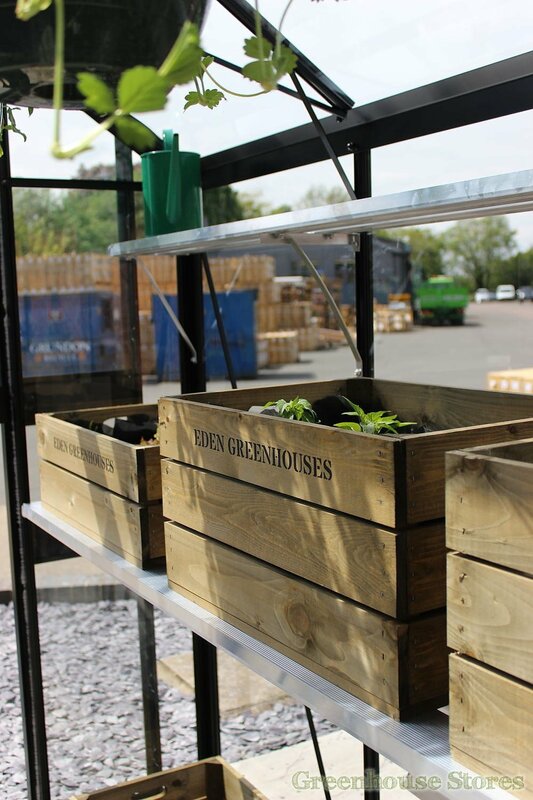 The 2 slat 10ft aluminium shelf is 18cm wide and is great for smaller pots and tools. 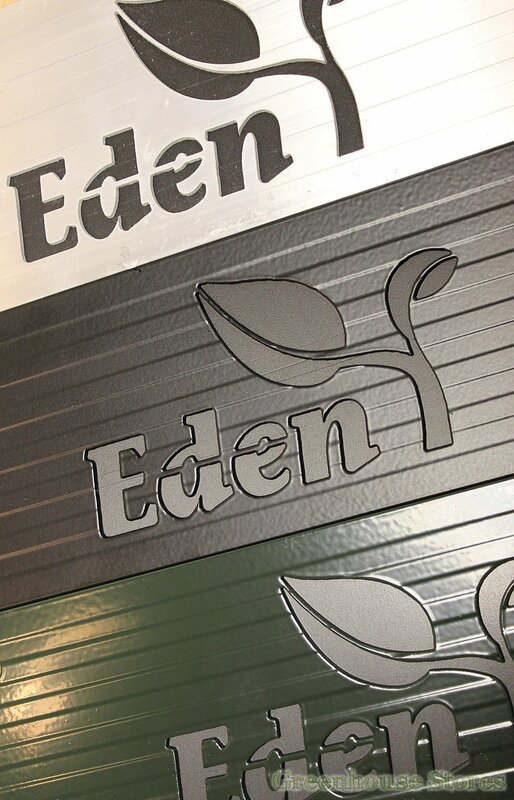 Picture shows Silver version.